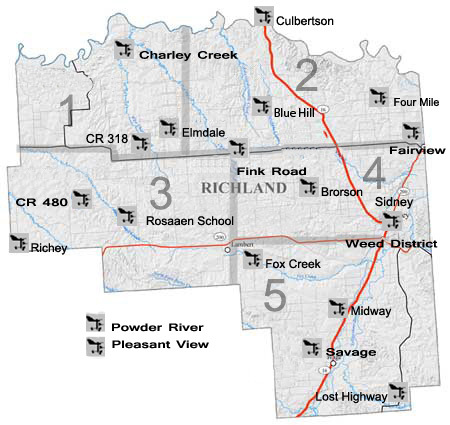 The Richland County Conservation District in co-operation with the Richland County Commissioners and MSU Extension have been installing weather stations around the county. The purpose of these stations is to help make informed decisions in regards to ag production. They have also been used to substantiate drought in the area. If you are interested in purchasing a station for your area, please feel free to contact us.